Harassment claims: what do you do if you can’t tell what really happened? Here is the “damned if you do and damned if you don’t nightmare” employers facing harassment claims must often confront… The accuser levels a serious harassment charge. The accused vehemently denies the accusation. Both the accuser and the accused threaten major lawsuits if the employer fails to take action, or sides with the other. There is nothing close to “smoking gun” evidence that points to the truth. Now what? Recent events have highlighted this conundrum in the sexual harassment context, but it applies to any category of unlawful harassment claim, such as harassment based on race, age, religion, nationality, disability and so on. I discussed this problem previously in The Harvey Weinstein/Bill O’Reilly/Matt Lauer Effect, and generally described the approach that employers must utilize to navigate these waters. As our national culture shift on this issue continues to unfold, particularly involving sexual harassment, I thought it would be helpful to delve further into the specifics. Why? The stakes are monumental: the accuser has certain legal rights which, if not respected by the employer, can lead to a debilitating damage award, even including payment of the accuser’s legal fees; the accused has legal rights as well, including the right to bring a defamation action if, for example, the employer’s unjustified endorsement of the accuser’s claim shatters the accused’s career or family relationships. Think of the law’s requirements in two contexts: what happens before and what happens after a harassment claim surfaces. I have previously written about the “before” stage – the foundations that must first be laid before any viable effort to deal with harassment claims can get underway: a harassment policy that complies with law and is consistently respected; a training protocol so that all executives, managers and supervisory personnel understand how to recognize and react to harassment scenarios; and a legally compliant, always respected complaint procedure that is well publicized and that employees know they can utilize. See, for example, the February 2017, August 2016 and June 2014 Workplace Advisors. But if recent events have proven anything, it is this: compliance with the “before” requirements will be of great help, but it cannot prevent everything, and when, despite an employer’s best efforts, a harassment claim surfaces, the “after” protocols must be implemented. Courts reason that when a harassment claim is made, there may not be a reliable way to tell truth from lies or facts from exaggerations, but there are certain procedures that can maximize the likelihood of getting it right — and if an employer immediately invokes and properly applies these procedures, that employer’s potential exposure will often be minimized. At the same time, courts have made painfully plain that if, instead, an employer “wings it” based on its notion of fair play and common sense (which, regrettably, is often the opposite of what employment law requires), the ramifications may be calamitous. 1. What’s a harassment claim? Initially, you must understand what triggers the “after” protocols: a harassment claim can be anything that puts you on notice that unlawful harassment may be ongoing, even if no one specifically complains about it. 2. Avoid any hint of prejudgment. After you become aware of a potential harassment situation, you must avoid any hint of prejudgment. If the claim ends up in litigation, and if, to any material degree, you wrongfully intuited that one side was in the right and the other was in the wrong before all of the facts were in and analyzed, you will have dug a hole from which it will be difficult to escape. At the onset, take a position of respectful neutrality and do not give anyone a basis on which to suspect that you favor one version of the facts over another. 3. Is the accuser in any danger? Here is where it gets especially dicey. You cannot presume that the accuser is telling the truth, but if there is at least a reasonable possibility that the accuser may suffer physical, emotional or financial harm at the hands of the accused, you must intervene, with advice of counsel, even though your actions may be construed as favoring the accuser’s version of the facts. 4. Immediately begin a legally-compliant investigation. You must begin an investigation that conforms with legal requirements as soon as feasible after you become aware of the claim. The course of the investigation must be carefully planned; all potential witnesses must be in interviewed and, often, re-interviewed as details and potential inconsistencies emerge; employees must know that it is their responsibility to be forthcoming and truthful; all of the facts must be assembled, documented and preserved; credibility indicators must be gathered, analyzed and utilized as appropriate. Except for trivial or transparent claims, it is almost always best to utilize an outside investigator (i.e., MEA) who is experienced in dealing with these claims and understands the law’s requirements. An added benefit of an outside investigator: the investigator may reach certain conclusions that will anger either the accused or the accuser, and if the investigator is a qualified and credible third party, the employer can claim that it did what any unbiased employer would do, and the employee’s upset will more likely be directed at the investigator, and not the employer. 5. Make the final call as soon as you can. Harassment claims do not improve with age. The longer it takes to make the final call, the greater the anger and resentment of both the accused and the accuser. Making the final call first requires the investigator to state whether it is possible to determine if the accuser’s or the accused’s version of the facts is closer to the truth. If there are enough facts to support a conclusion, the investigator must be precise – what aspects of the accuser’s and the accused’s stories can be verified, to what level of certainty, based on what facts and reasoning. 6. Make the punishment fit the crime. A single instance of boorish behavior is not the same as repeated instances of unwanted physical contact. An insensitive, insulting joke or comment is not the same as intentional race-baiting or discrimination. There is a distinction between inappropriate and unlawful, and many gradations and gray areas in between. Get advice. 7. Do more than implement — monitor. Whatever conclusions are reached and whatever actions are taken, do not stop there. The situation must be monitored for compliance and potential retaliation. This is where many harassment situations go off the rails. 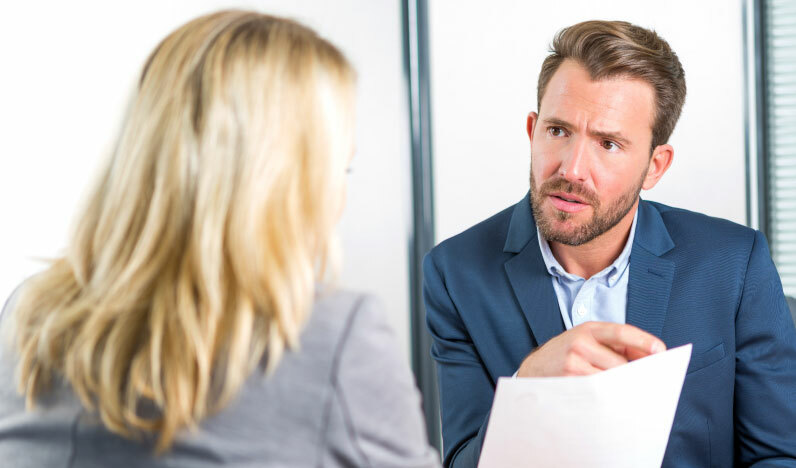 Many employers promise confidentiality to the accuser, but accusations of this nature cannot be kept completely confidential — for example, the accused has certain rights to know the details of the claim that has been made. Witnesses are often promised confidentiality – but their statements may well be disclosed in proceedings where the employer is required to justify the actions it took, or failed to take. The most that can, and should, be said is that the facts gathered from the accused, the accuser, and the witnesses will be disclosed only on a need-to-know basis and only in compliance with legal requirements – but complying with that promise can be tricky, and inappropriate disclosures can lead to defamation lawsuits and other claims. Michael G. Trachtman is MEA’s general counsel and the President of Powell Trachtman, P.C., a King of Prussia-based law firm that has represented businesses and business people for over thirty years. He can be contacted at mtrachtman@powelltrachtman.com. See www.powelltrachtman.com for more information.